In Memory of Philip O. Edwards – The HIKE Fund, Inc. Please join us in remembering Phil. As a sitting Board member of The HIKE Fund, he served for many years. We will miss him deeply. Preceded in death by parents, John and Avlie Edwards; sister, Linda Burgoyne. Survived by wife, Doris Edwards; children, Shannon (Max) Duda, Overland Park, KS, Carla (Jeff) Thomas, Sumter, S.C.; grandchildren, Kaitlin (Zach) Peele, Amanda Duda, Roman Thomas; sister, Joy (Mike) Reeb, Sandpointe, ID; brother-in-law, Ross (Lynn) Burgoyne, Homer, AK. Charter Member of Farmhouse Fraternity – University of Idaho. Past Master and currently Secretary of Centennial Lodge #326 AF & AM. Director and Secretary of the Masonic Youth Foundation of Nebraska. Director of the National HIKE (Hearing Impaired Kids Endowment) Fund. Past Patron of Narcissus Chapter #269. Past Associate Bethel Guardian and Past Associate Grand Guardian – Job’s Daughters International. Member of the Omaha Valley Scottish Rite, Tangier Shrine, and York Rite. He enjoyed working at Vala’s Pumpkin Patch, and doing Father Job for Job’s Daughters. 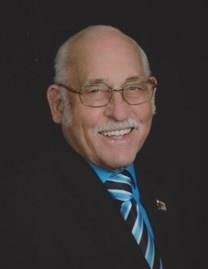 VISITATION: Wed from 5-8pm at Crosby Colonial Chapel. FUNERAL: Thurs at 10:30am at West Hills Church, 3015 S. 82nd St. Interment Westlawn Hillcrest Cemetery. Memorials to HIKE (Hearing Impaired Kids Endowment) Fund or Masonic Youth Foundation.